Tallest trees dread thunder the most. No wonder personal freedom is anathema to the power placed. Prime Minister Narendra Modi is no different. As Chief Minister of Gujarat, he was ever ready to stick a knife into anything remotely resembling a Sonia-Singh led Centre. Now sitting in the hot seat himself, with a majority to match, he is no better than his predecessors. Actually he is worse. 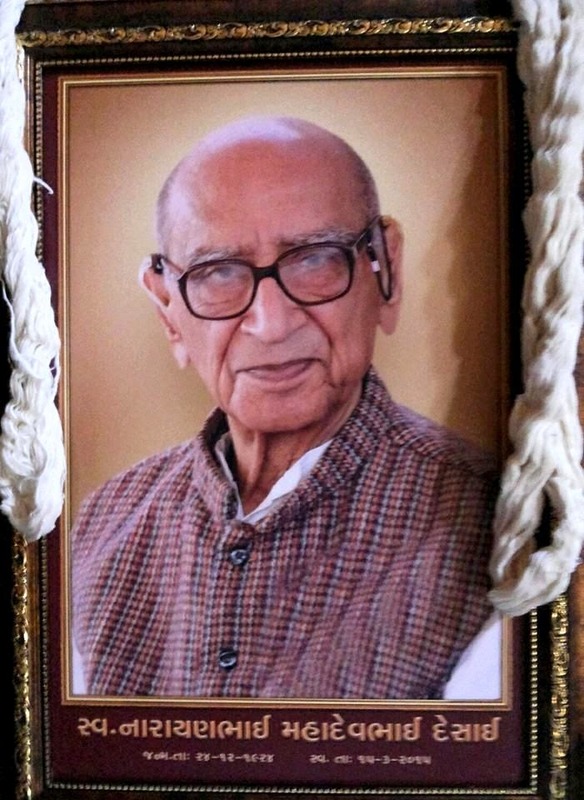 When sleep beckons even the brave must lie down , for fate is fickle as it takes back what it gives.Veteran Gandhian Narayan Desai who on March 15, chose a final wink over a weary but fulfilling journey called life, has left a treasured legacy. For Gujarat to ponder over particularly, and for India to introspect in these troubled times. Just ten short of a century, the Gandhian scholar who turned simplicity into a science was not only one of the most avid practitioners of this fast fading form but a crusading link between the old and the upwardly mobile new indian.As against sectarian preachers and political potentes ,this came in the form of a ‘Gandhi katha’ series of discourses (in fact, storytelling sessions) in which he narrated anecdotes that shed light on the philosophy, life and practical importance of gandhian values in everyday existence. He had conducted over a hundred such five- day long narrations countrywide in English, Hindi and Gujarati. What was hard to endure is sweet to recall.Union Home Minister Rajnath Singh who assured Parliament that the Nirbhaya documentary,’ Storyville-India’s Daughter’ would not be aired in the country or abroad,cut a sorry figure. BBC ignored the notice,disputed the Information and Broadcasting ministry’s claim and aired it.Downloaded extensively, it was available across viewing platforms. Why did the Narendra Modi- led BJP government wade into the issue all guns blazing knowing fully well that it would leave their flanks vulnerable? More so after a series of mistimed manoeuvres have paled the image of their prime mover and party as well, in the post- Delhi poll period. Nothing is impossible for the one who doesn't have to do it. In the process, however,if careless talk costs lives and corrodes credibility, so be it! There have been three annual budgets - Gujarat’s, the Railways and the Union Government’s - within the last fortnight. Additionally, there is a contentious land acquisition bill before the Lok Sabha. All four have only one thing in common.They carry the stamp of Prime Minister Narendra Modi’s governance acumen or the lack of it. The Gujarat budget, because it was the model set by Modi; and the remaining three budgets, because they are singularly credited to his account and individuality. Like a piece of ice on a hot stove,those who heeded a national calling must now stew in their own melting. Ask the sikh farmers of Kutch in Gujarat what it feels like to be invited and lionized one moment and shunned and gunned the other. And therein lies a pathetic tale of an indifferent state and a leadership which continues to play political poker with persevering Punjabis who chose to make the inhospitable Kutch their home.